Robert Mueller’s deal with Michael Flynn neutralizes Trump’s pardon power. How the special counsel’s deal with Michael Flynn neutralizes Trump’s pardon power. 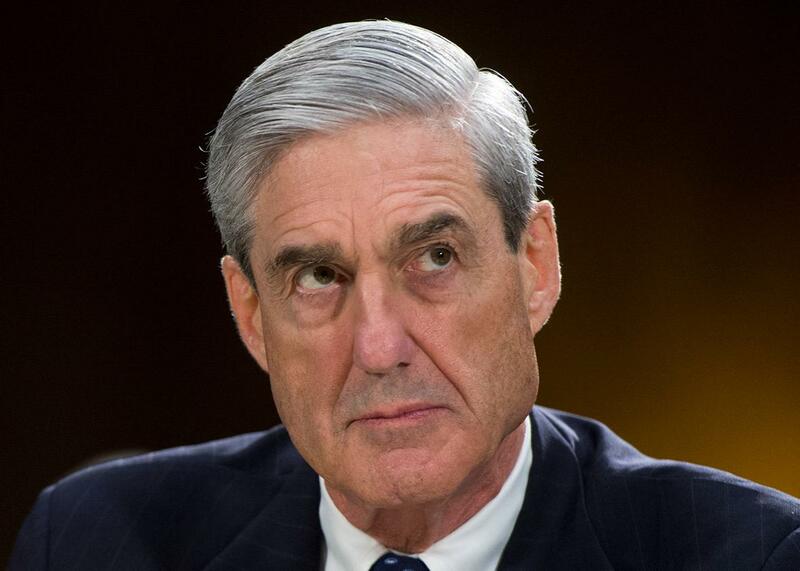 Robert Mueller testifies before a Senate Judiciary Committee hearing on oversight of the FBI in 2013. Michael Flynn has offered a guilty plea, and he cannot rely on Donald Trump’s pardons to save himself or his son. There is broad consensus that the plea, to a single charge of lying to the FBI, is a clear sign Flynn has agreed to very significant cooperation against a very significant target. Reports indicate that Flynn has agreed to testify against Trump. I write here to make three points. 1) The plea deal continues Robert Mueller’s strategy of neutralizing Trump’s pardon power. 2) The obstruction of justice charge against Trump just got a whole lot stronger. 3) Everyone is rightly focusing on Trump, but Vice President Mike Pence and White House Counsel Don McGahn are in bigger trouble than ever. Let me spell out how this strategy would apply to Flynn. The former national security adviser has pleaded guilty to one charge of making a false statement to the FBI. What are the other charges a state prosecutor could bring? In early November, the Wall Street Journal reported that Flynn and his son Michael Flynn Jr. allegedly discussed a scheme in which they would receive up to $15 million for taking part in an extradition scheme and an extralegal “rendition” of cleric Fethullah Gülen, an opponent of Turkish President Recep Tayyip Erdogan. These allegations could be grounds for charges of bribery and conspiracy to kidnap (as well as conspiracy to assault and perhaps other violent crimes). The state of Pennsylvania, where Gülen resides, offers extra protections against double jeopardy beyond the rights guaranteed by the federal Fifth Amendment. The Pennsylvania Supreme Court holds that “a subsequent prosecution and imposition of punishment for the same offense will not be permitted unless the Commonwealth’s interests are substantially different from the interests of the jurisdiction that initially prosecuted and imposed punishment.” Given that, Flynn’s federal deal—which does not include any charges related to the alleged Gülen incident—preserves a number of criminal charges relating to kidnapping, assault, and bribery in Pennsylvania, as well as parallel charges in New York and possibly Virginia. State tax fraud may also be in this mix. Now that Flynn has pleaded guilty to a crime, and now that he reportedly is singling out Jared Kushner, and will probably acknowledge far more as he cooperates with special counsel Robert Mueller, those obstruction charges will now play stronger in the court of public opinion, before actual courts and jurors, and in front of arguably the most important juries, the House and Senate. Mike Pence and Don McGahn are in trouble. Everyone is rightly focused on Trump’s legal jeopardy, as well as that of Kushner, but another person whose legal fate changed significantly on Friday was Vice President Mike Pence. White House Counsel Don McGahn should also be concerned, as he, like Pence, was involved in Flynn’s appointment during the presidential transition. Pence and McGahn could be facing their own charges of obstruction of justice, even before we learn anything new from Flynn’s cooperation with the special counsel. On Nov. 10, 2016, immediately after the election, President Obama warned President-elect Trump not to hire Flynn. The next day, Pence became head of the transition team. On Nov. 14, new allegations appeared about Flynn’s improper lobbying for Turkey. On Nov. 18, Rep. Elijah Cummings, the House Oversight Committee’s ranking member, notified Pence that Flynn was lobbying for Turkey without registration. Two days later, Trump announced Flynn as his choice for national security adviser. In the process of this hire, Flynn failed to disclose his contacts with Turkey as legally required, while also setting up contacts with Russian Ambassador Sergey Kislyak, allegedly in interference with the Obama administration’s sanctions against Russia. On Jan. 4, Flynn allegedly told transition counsel (and soon-to-be White House Counsel) Don McGahn that he was under investigation. McGahn failed to follow up. Keep in mind that Pence, as head of the transition, and McGahn, as transition counsel, were working together closely on all these matters. On Jan. 15, Pence denied that Flynn’s conversations with Kislyak were related to sanctions, and he also denied contacts between the campaign and Russia. In May, Trump decided to fire Comey. Trump’s initial letter was reportedly a “screed” about the Russia investigation, and he showed it to Pence and McGahn, among others. They moved to pare back the letter, allegedly because they recognized it created an impression that Trump was admitting his intent to obstruct justice. On May 10, a day after Trump fired Comey, Pence publicly denied that the Russia investigation factored into the decision. “Let me be very clear that the president’s decision to accept the recommendation of the deputy attorney general and the attorney general to remove Director Comey as the head of the FBI was based solely and exclusively on his commitment to the best interest of the American people and to ensuring that the FBI has the trust and confidence of the people of this nation,” the vice president said. As I have written before in much greater depth, Pence’s involvement in the letter, if he acted materially to assist the firing of Comey and to cover up Trump’s corrupt intent, could constitute conspiracy to obstruct justice as well as aiding and abetting the obstruction of justice. Moreover, if Pence had read Trump’s original letter, and if the letter in fact focused on the Russia investigation, Pence’s answers would be a combination of lies, misrepresentation, and concealment. If such allegations are true, then the combination of Pence’s participation in the letter revision and his lies afterward would constitute the affirmative acts by a public official necessary for misprision of a felony, 18 U.S. Code Section 4. Now with Flynn’s guilty plea, Pence’s and McGahn’s criminal liability for obstruction of justice runs even deeper. Flynn might now cooperate by telling the special counsel how much more Pence and McGahn (and Trump) knew of these matters, and how many times they may have misled the public and FBI investigators. Pence and McGahn might want to start getting their stories straight. Or they might want to consider their own deals to cooperate fully with Mueller’s investigation, lest they face their own indictments. Flynn’s cooperation represents a breakthrough for one final reason: the prisoner’s dilemma. The prisoner’s dilemma is a famous problem in prosecutions and in academic game theory. A prisoner (or more illustratively in this case, a defendant) knows if he holds out against making a deal, and if all his co-defendants in other jail cells also hold out, they will all go free. However, if he holds out and another defendant confesses and implicates him, he will get a much worse sentence. If everyone confesses, everyone gets something in between. So, the dilemma here is whether to assume everyone is holding out or whether to assume someone else is confessing to get a better deal. Up until now, only a very small figure—Papadopoulos—had confessed, not enough to make any central figure rethink his assumptions. But now that Flynn is cooperating with Mueller, all bets are off. Everyone knows the next few cooperators will get deals, but the later you cooperate, the worse deal you get. The last (and biggest) co-conspirators get no deals at all. Flynn’s deal could be a moment that breaks the silence, and opens the gates for others to cooperate with Mueller to get a deal while there are still deals on the table.